It looks like Lawrence has had a change in heart with respect to the music in his upcoming film Muni-3. When the film was launched in December, it was announced that Vijay Anthony was going to score the music. However, the latest news is that Lawrence has roped in Anirudh Ravichander to score the music now and dropped Vijay Anthony. Anirudh became quite popular with Dhanush, Shruti Haasan starrer 3 and later scored music for Edhir Neechal, apart from Bejoy Nambiar’s David. “I liked the story a lot and I am glad that I’m part of this franchise,” Anirudh told a leading newspaper confirming that he has been signed for Muni 3. Incidentally, this isn’t the first time Lawrence has replaced the music director of his film. For Rebel, initially he had roped in Thaman, but before the film could be wrapped up, he and Thaman decided to part ways and Lawrence himself scored the music. Lawrence and Taapsee are playing the lead roles in Muni 3 which is a horror comedy. 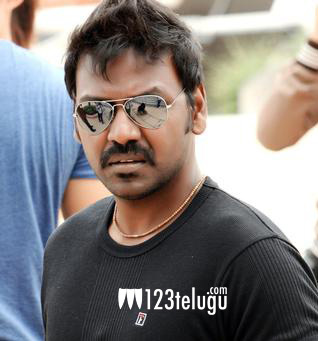 Bellamkonda Suresh is producing the film.